Friends, I have been seriously been slacking on getting my nutrition under control. Blame it on stress or the colder weather or the whole moving in less than a month thing, but whatever has been the cause of it, I’ve been neglecting getting those portions in line. So, instead of worrying about what’s in the past, I’m focusing on starting back up with the 21 Day Fix meal plan. How Much Does Each 21 Day Fix Container Hold? I’ve had great success with it in the past and never felt hungry. It was also a wonderful way to track what I was eating – and what I wasn’t (hello, enough fruit and veggies). If you’ve been struggling too, I highly recommend looking into the 21 Day Fix and seeing if it’s a program that might work for you. While I’ll be buckling down with the portion part of the program, I’m going to be sticking with my current weight routine and upping my cardio a bit. I’ll probably jump back into it and do another round after the start of the new year, but between the holidays and the move around Thanksgiving, I’m granting myself some grace. Feel free to click on the image above to download a free copy of the portion plan or click here. 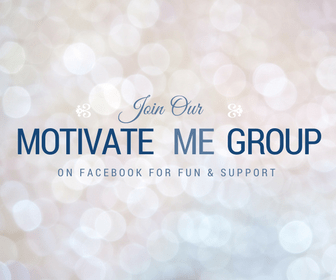 Questions about the 21 Day Fix or want to join me for a new round in January? Leave a comment below!